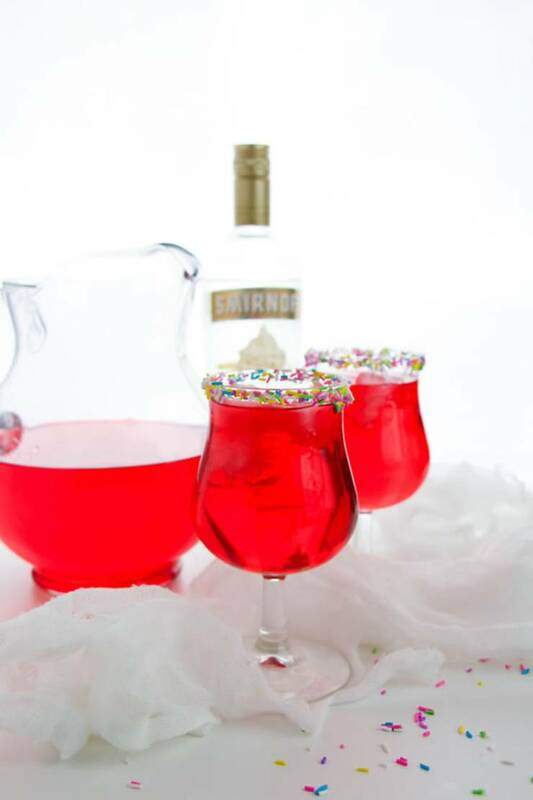 alcohol recipe great to make for yourself, family, friends or for a party. 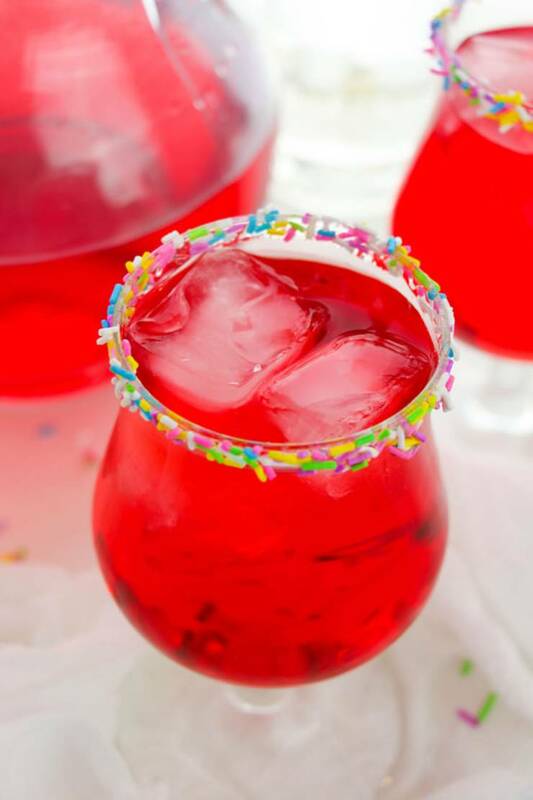 drink is great for a crowd – they will love it! 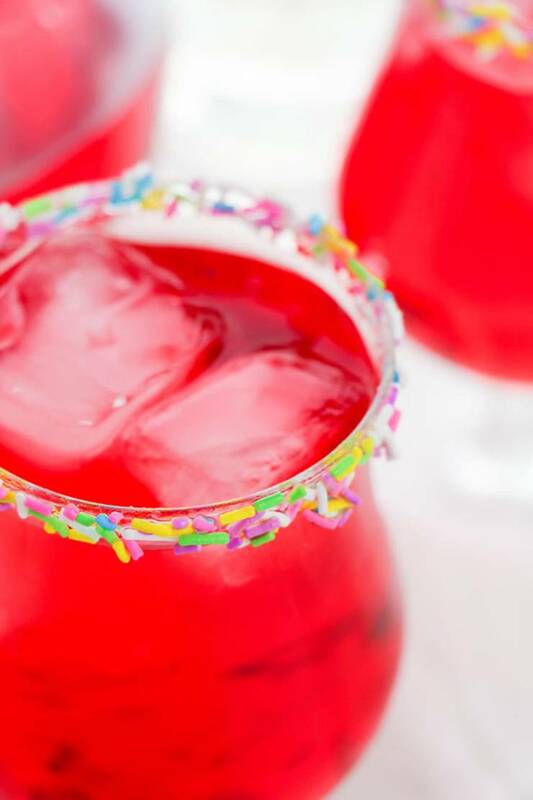 skills to the next level with this simple alcohol drink recipe. 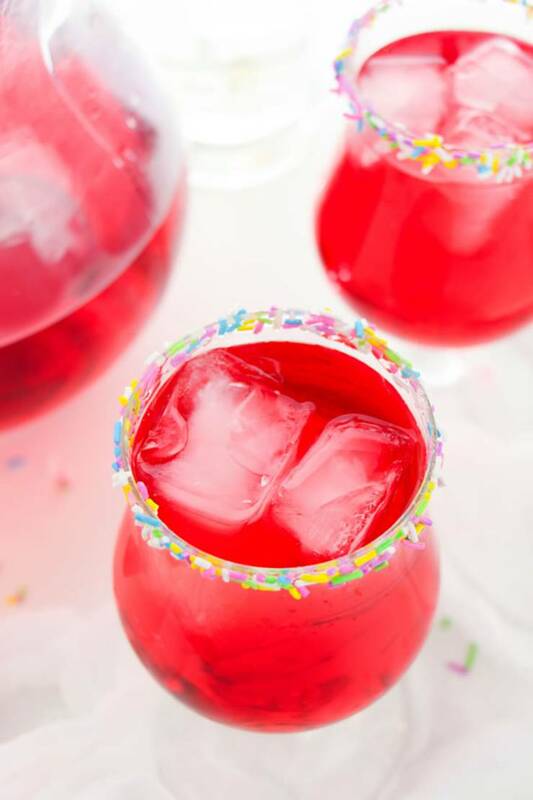 Learn how to make this delicious and tasty strawberry cocktail. top 1/2″ of each glass. it until sprinkles are stuck to the almond syrup. 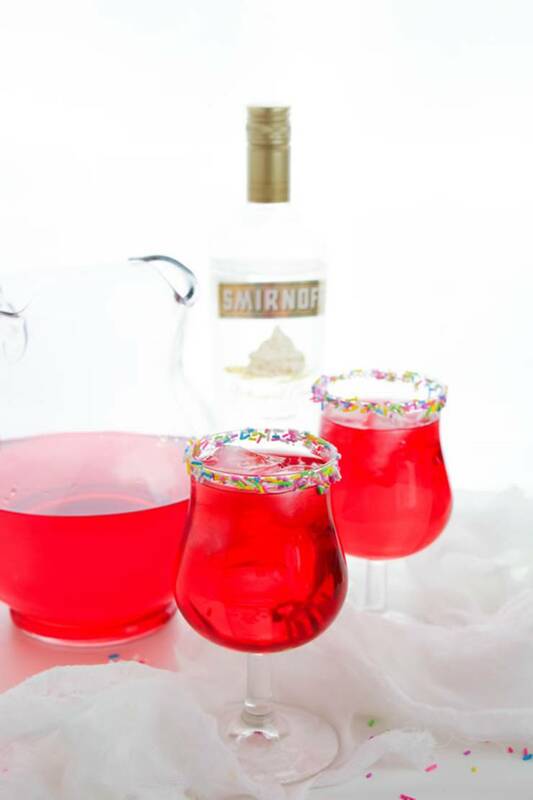 Fill your glasses with ice and set aside. 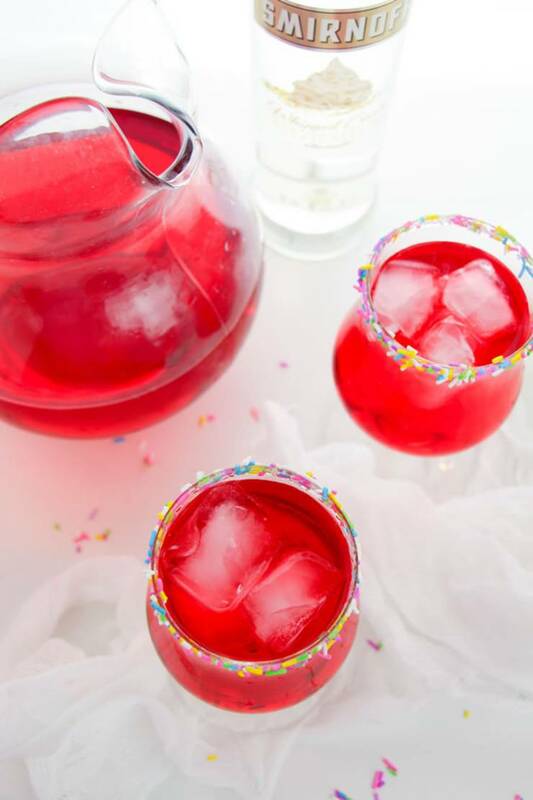 Use a spoon or a pastry brush to apply almond simple syrup around the top 1/2″ of each glass. 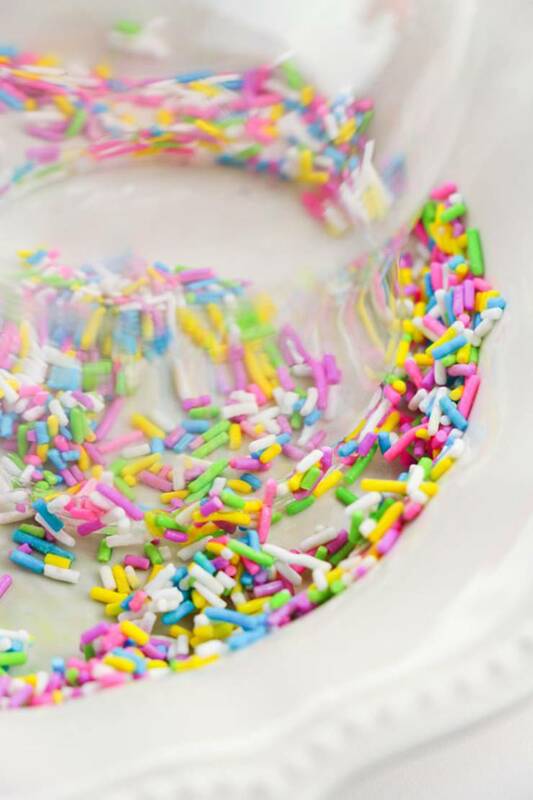 Place the sprinkles in a shallow dish and run the edge of the glass through it until sprinkles are stuck to the almond syrup. 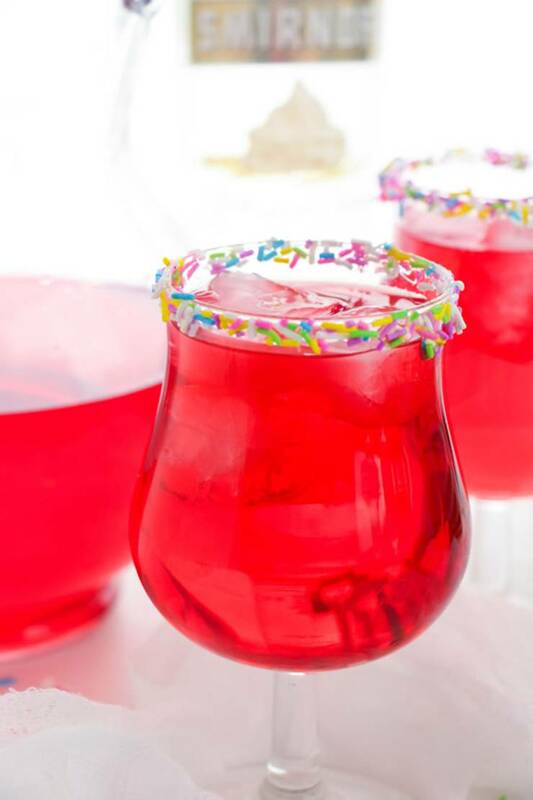 In a cocktail shaker, add 4 oz strawberry juice and 4 oz vodka. Shake well or stir to combine. 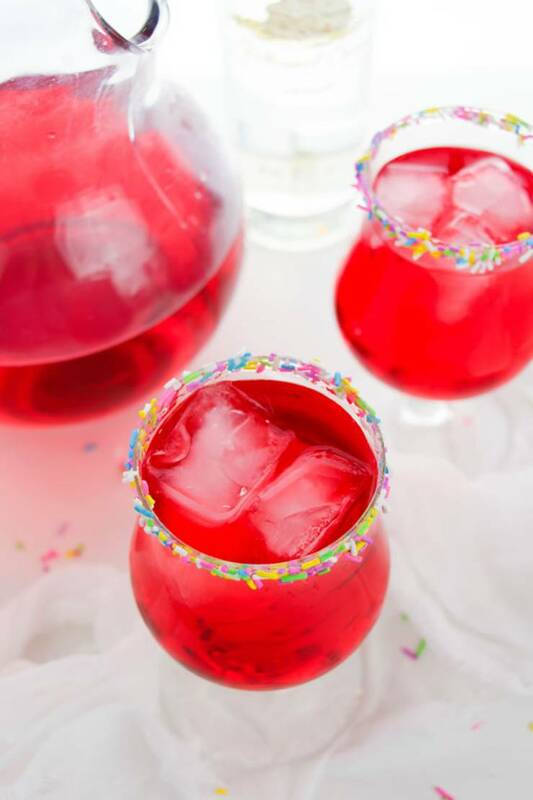 Divide the cocktail among your two glasses, then top with additional strawberry juice, as desired.